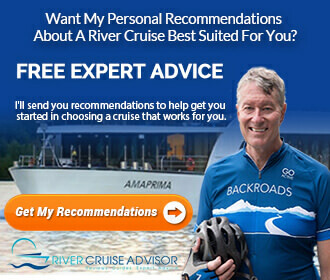 Transcript: With the Douro, the Danube, the Rhine, the Main, the Rhone, the Saone, the Moselle and more, why would you want to cruise on the Seine River? I’m Ralph Grizzle, of rivercruiseadvisor.com and here are just a few reasons why you’ll want to cruise with AmaWaterways on one of France’s most storied rivers. Reason number one is you begin and end your cruise in Paris and that makes airlift very easy, and Paris is a beautiful city. Cruises will typically begin from beneath the Eiffel Tower or within sight of it and some cruises leave at night, so you have this wonderful illumination tour or illumination of the Eiffel Tower, and that’s quite spectacular. That’s reason number one, you get to enjoy Paris and live like a Parisian for a little bit. Reason number two is Monet’s Gardens. The next morning you’ll come to a city called Vernon and just on the other side of the Seine River is a place called Giverny. This is where Claude Monet lived; he’s the French impressionist painter; we’ve all seen his paintings I’m sure. The gardens are there, the house is there, it’s spectacular. You’ll see many scenes that you’ll recognize from his paintings. Reason number two is that you’ll experience the art and beauty of Claude Monet. Reason number three is the landing beaches, and I’m talking about the World War II landing beaches, the D-Day invasion. You’ll have a choice of the American cemetery or the Commonwealth cemetery, which is where the Canadians and Brits are interred. This is a moving experience. I’ve done it myself. You’ll see seas of these headstones that just are honoring the dead, the many young soldiers who died in that invasion. Reason number four is that you’ll get to visit some charming villages and I’m thinking of Honfleur now. Honfleur is this circular city, it’s built around a harbor. There are these beautiful harbor-side cafes where you can have seafood or a crepe perhaps or a cup of coffee or a glass of champagne. There’s also a carousel at one end, which makes it colorful. It’s just a place where you’re going to want to have your camera out and just clicking pictures all the time. Absolutely stunning. Another place that you can visit is called Fecamp. Fecamp has the Benedictine Palace and it’s this beautiful, ornate palace. It’s nice to tour it but what I enjoy most is going inside and having a little taste of the Benedictine liqueur that’s made of a concoction of herbs and spices and a secret recipe. Reason number five is that there’s a lot of history here. Now we’re in Rouen at the moment and this is where you’ll find where Joan of Arc was burned at the stake. Also this is the city that Victor Hugo called the city of 100 spires, and the writer Gustave Flaubert was born here and wrote his novel, Madame Bovary. You’ll find a lot of history in places like Rouen and other spots along the river. Reason number six is that you get to sample the wonderful gastronomy of the Normandy region. I learned yesterday that there are more than 800 varieties of apples in Normandy. They’re used for cider and Calvados, you can also sample the wonderful wines here, as well as the Benedictine. There are beautiful pastries and breads, many, many, many cheeses, great seafood and shellfish. For the food and wine lover, it’s hard to beat a cruise on the Seine River. Whether you’re a history buff or an art lover, a foodie or a culture vulture, whether you appreciate small villages or big cities, the Seine offers a wealth of experiences for every cruiser. 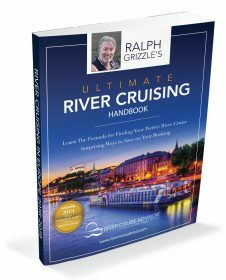 I’m Ralph Grizzle and I hope to see you soon on France’s beautiful Seine.